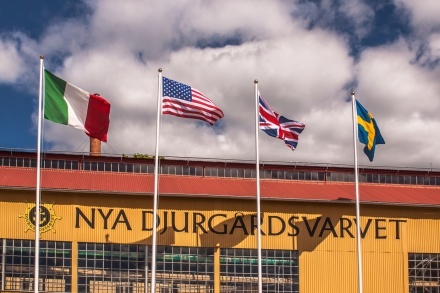 The Stockholm International Team Race Regatta was sailed Friday, Saturday and Sunday, 26-28 May, in the middle of Stockholm between Djurgården and Stadsgården. There were six teams from the world's leading sailing clubs, eight sailors in each team divided into two boats per team. The Regatta format was three round robins (all teams met all the other teams), on Friday and Saturday, a total of 53 flights in two days. Thereafter the finals on Sunday, adding yet more flights. It was a very intense, and exciting sailing, it was hard to understand that the boats avoided crashing into each other. The only reported damage was a small boarding between two boats and a close contact with a mooring buoy. Impressive. Royal Thames Yacht Club won all 15 races in the Round Robin, unbeatable. 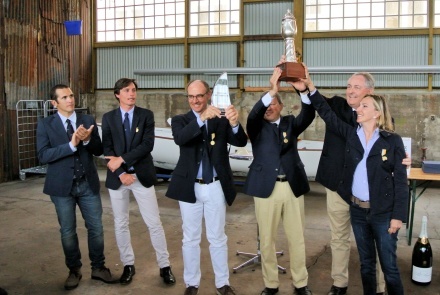 Last year's winner Italian Yacht Club Costa Smeralda came in second with nine wins out of 15. The finals was sailed as Semi final, Petit Final, Final and a match for fifth place. In the semi-final one; RTYC met NYYC in the best of three flights. There were three flights where RTYC for the first time lost not only one, but two flights, which meant that NYYC proceeded to the final. In the second semifinals between YCCS and KSSS, YCCS won two flights, so the final was sailed between YCCS and NYYC. 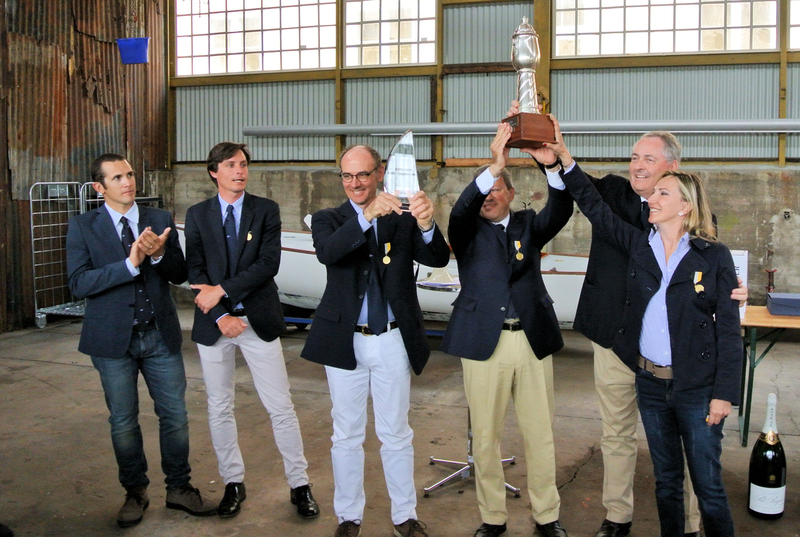 In the final, the Italians repeated their victory from 2016 and repeatedly won the 2017 Stockholm International Team Race Regatta. In the match for third prize, RTYC won over KSSS with two wins against one. Finally, fifth place was won by GSYS winning the match over RYS. The regatta was followed by many spectators on the quays around the competition area and from spectator boats, ferries and Stockholm's guided tourist boats. The participants were enthusiastic about sail racing in the middle of central Stockholm. Good weather conditions made it possible to run 58 races during three days under fair conditions. Stockholm also appeared from its best side with a brilliant summer weather. New York Yacht Club's team leader, as well as the Club's Commodore: “It could not be better, GSYS had organized another world-class competition”. Stockholm mayor Eva Louise Erlandsson led the award ceremony to GSYS home base “Nya Djurgårdsvarvet”. 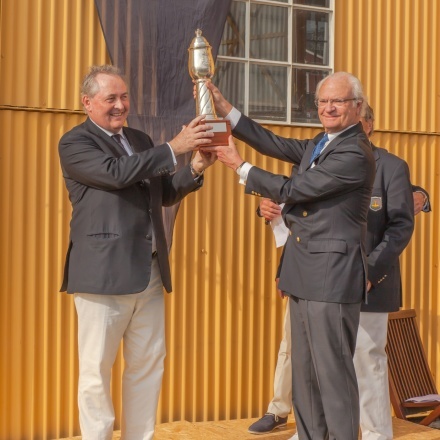 Christer Salén has donated the magnificent trophy that his father Sven Salén won in 1929 by H.M. Kong Haakon VII of Norway.